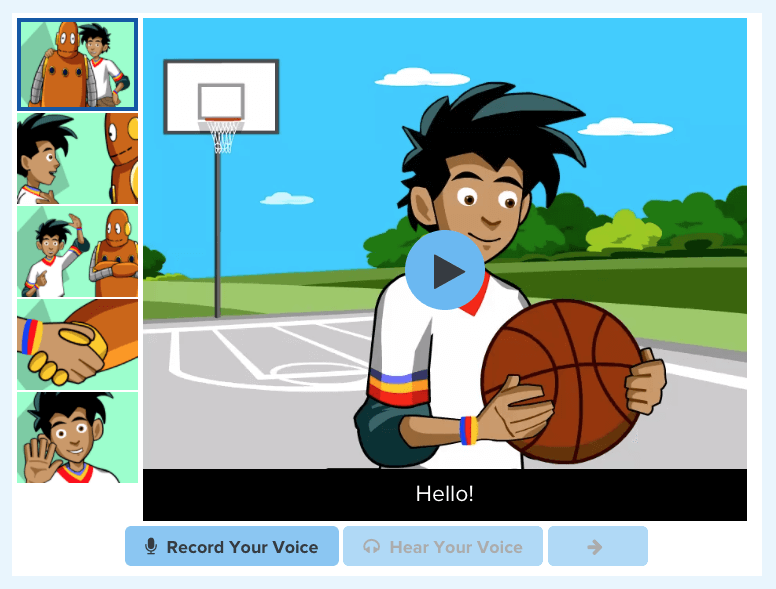 Every BrainPOP ELL lesson offers Hear It Say It, a language lab feature in which students listen to a clip from the movie, then repeat it and record. Students listen back to their own recordings for pronunciation and can repeat recordings to hone their pronunciation skills. Can students submit their recordings to teachers? Yes. Students can submit their recordings through their My BrainPOP accounts.